On the occasion of Shilpi Diwas, ‘Mur Sapoon’ – a modern Assamese song album was released at the Guwahati Press Club. 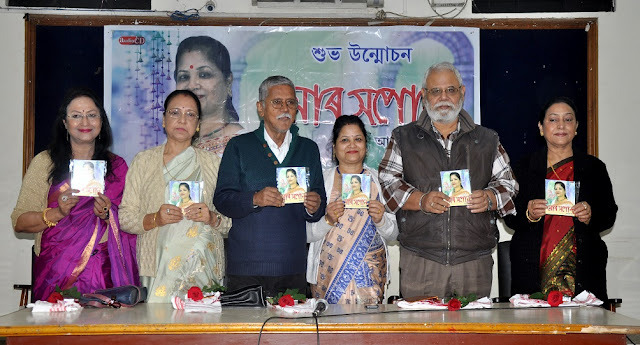 The album which marks the debut of Manika Barua, was formally released by well-known musical artistes – JP Das, Bhupen Uzir, Nilima Khatoon, Pahari Das and Kanika Bhattacharya. The album introduces the listener to the special talent of Manika Baruah, who demonstrates a startling gift for songwriting apart from her wonderful singing skills. Songs like ‘Mur Sapoonote Je’, ‘Tumar Morombur’ and ‘Nila Nila Akashkhoni’ reveals her abilities, where the singer draws on her own experiences with profound words of hope and optimism. Everyone heaped praises on the singer and believed that there is certainly still so much more to come from the singer-lyricist. Manika Baruah also renders the catchy ‘Phool Ki Kebal Phule’, which is written by eminent lyricist-poet Nirmal Prabha Bordoloi, and tuned by JP Das. 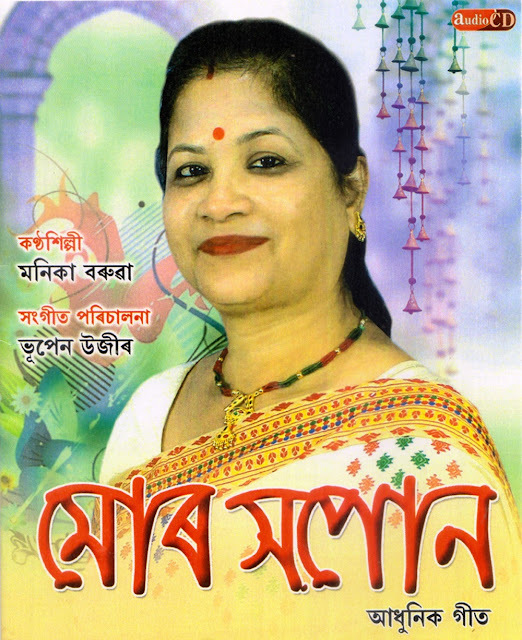 Another song ‘Bohage Rong Sane’ is written and tuned by the experienced Bhupen Uzir, who has composed the music in the album. During the release function, Manika Barua opened up about the strength she draws from her family – husband and two daughters, who inspired and helped her believe in herself, her talent, and her abilities.